Under the slogan “Mos ma prek Vjosën! (Hands off Vjosa! 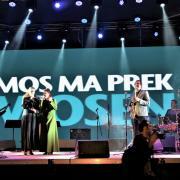 )”, a special kind of concert took place at the main square in Tirana last night. 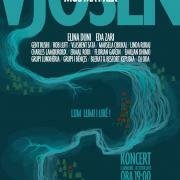 In front of over 4000 people, prominent Albanian musicians sang for the protection of the Vjosa river and against the planned dam projects. 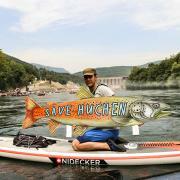 ++ 20,000 people at this year's event on Drina River in Serbia ++ NGO's protested against damming the globally most important Huchen (Danube Salmon) River ++ At this year’s event, NGOs in cooperation with angling (fishing) associations protested against hydropower plans for the first time in the 24-year history of the regatta. Motion pictures say more than 1000 words. Below are short video impressions covering the entire 36 days of the Balkan Rivers Tour. Enjoy! ++ Day 8 of the Balkan Rivers Tour: 200 people protest against the dam construction at the Sana river in Bosnia and Herzegovina ++ Today, an international alliance of 200 kayakers, anglers, residents and nature conservationists protested on the river Sana in Bosnia and Herzegovina against the hydropower plant “Medna”, which is currently under construction. The Sana is one of the last remaining rivers in Europe that host healthy populations of the Huchen. 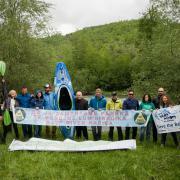 ++ Grand kayak tour to save the Balkan Rivers starts today ++ Today, about 150 paddler are opening the Balkan Rivers Tour on the Sava river in Slovenia. 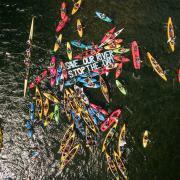 Led by former Slovenian Olympic athlete Rok Rozman, kayakers from all over Europe will paddle the most stunning and most threatened rivers in the Balkans over the next 35 days. This is without par in Europe. With this tour, they are taking a clear stance against the imminent dam tsunami. 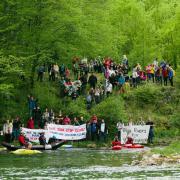 We are happy to invite you to the opening event of an unusual international protest action: the opening event of the BALKAN RIVERS TOUR, April 16th 10:00 to 12:00, Bohinj Lake, Slovenia. 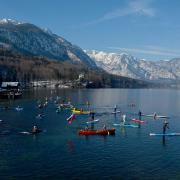 For the first time, a group of kayakers from all over Europe will paddle rivers from Slovenia to Albania. 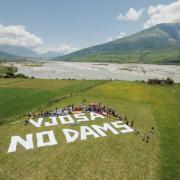 With this tour they want to protest against the dam tsunami that is threatening Balkan rivers and to raise awareness about their beauty. 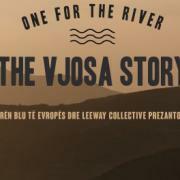 On January 22, the documentary “The Vjosa Story” by our river ambassadors from Leeway Collective will be screened in Tirana, Albania. It is an incredible documentary about kayaking the Vjosa - one of the last wild rivers in Europe - from its source in Greece to its mouth into the Adriatic Sea in Albania. Don’t miss this opportunity to watch this amazing film on a big screen!